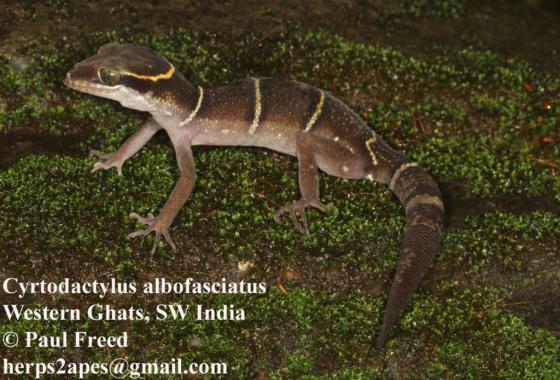 Can you confirm these amateur observations of Cyrtodactylus albofasciatus? 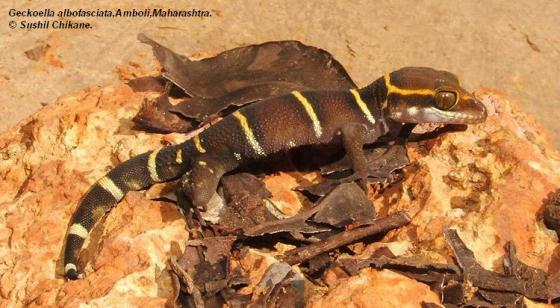 Comment This species has often been confused with G. dekkanensis and has only recently been resurrected from its synonymy by BAUER & GIRI (2004). 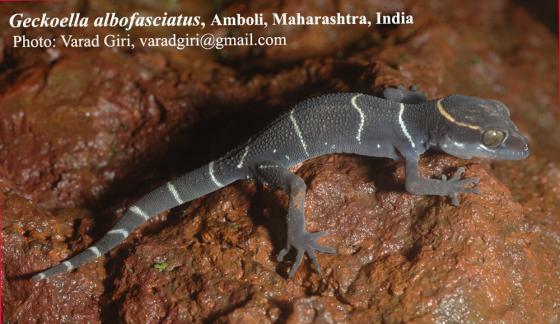 Two nominal species of Indian geckos, Geckoella deccanensis and G.
albofasciata, are similar in general appearance and have been regarded as conspecific by some recent authors. Although there are no obvious morphometric differences between the two forms, they differ consistently in dorsal scalation and in juvenile colour pattern. 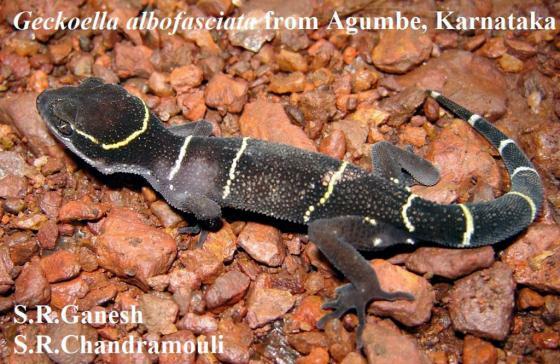 Geckoella deccanensis is characterized by large, flattened, juxtaposed dorsal scales and a series of yellow cross-bands on the body, whereas G. albofasciata has smaller, heterogeneous, conical dorsal scales and juveniles posses a series of white dorsal trunk bands and a single, yellow nape band.